Welcome to the South Riding Dance Academy web site! We hope you find this information useful. 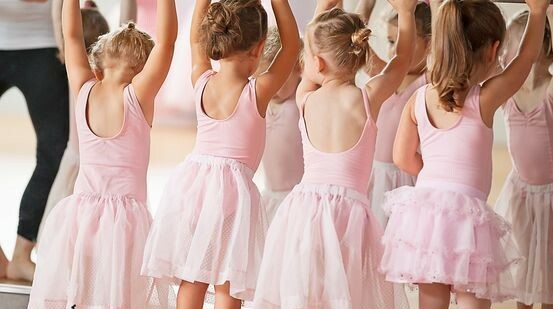 As a leading educator in dance, we take pride in dancers of all ages and ability! Every class whether it's recreational or competitive will receive the same training and effort from every instructor. Parents are welcome to hang around and enjoy our free coffee bar and observe classes when available. We hope you choose South Riding Dance and become "Part of our family"! It's ALREADY that time of year again! Time to get your kids summer plans scheduled! We have some great camps coming your way! Here are a few links that will provide more details for each! For studio events, click on the link below. The SRDA competition Team, in its 18th year, consists of very talented, hardworking, dedicated dancers of ages 5 through 18. Dancers compete 3-4 times per year at local regional competitions and 1-2 times per year on a National level. SRDA is a top 3 Nationally ranked studio. Auditions for our 2019-2020 competition team will be held in July 2019. Click on the "Learn More" tab below for more information. Voted "Best Dance Studio" in Loudoun County! Thank you to everyone who voted for us!